Which Parts of the Country Produce the Most NFL Players? Have you ever considered basing a lesson around sports data? It’s a great way to connect to athletically focused students, and interesting as well. 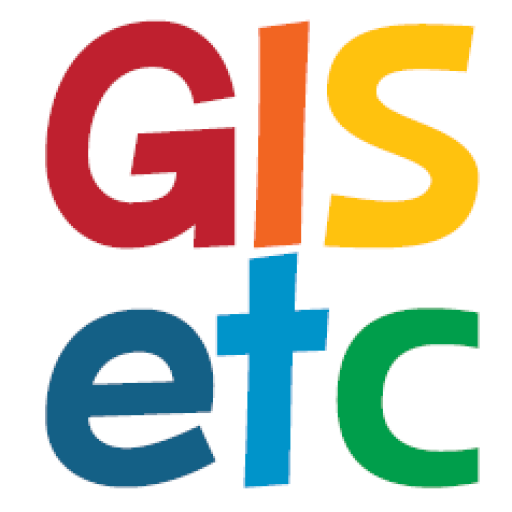 Think about new ways you can approach geospatial data while you’re watching your favorite games! We pulled just a small portion of the data from a recent study on where NFL players come from. Be sure to visit the full article from The Atlantic Cities for more information and several maps exploring the topic. “Where do today’s NFL players actually come from? It’s an empirical question – one that can be answered with data. 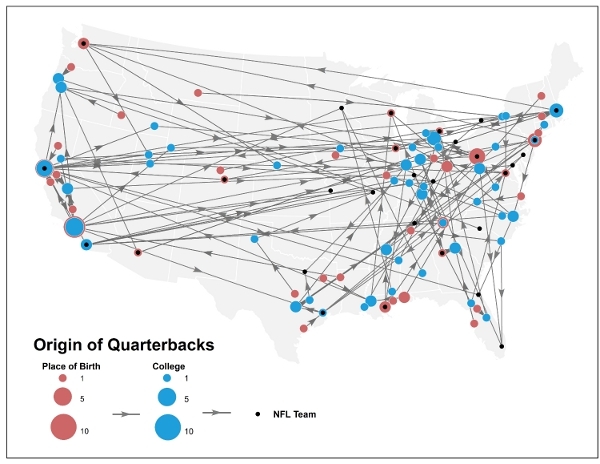 To get at it, I turned to Martin Prosperity Institute alumnus and UCLA doctoral student Patrick Adler, who tracked data on the cities and metros of birth for the 1,846 NFL players who were on the preseason rosters for NFL teams during the 2010 season, using team media guides and data on nfl.com. The South has less of an edge in QBs than it does in overall players, according to Adler’s analysis. It is tied with the Pacific as the place of origin for roughly 30 percent of NFL quarterbacks. This compares to the South’s 44 percent share of all NFL players. Eighteen percent of NFL quarterbacks hail from the Midwest, 16 percent from the Northeast, and just 4 percent from the Mountain states. QB is the only position where the South doesn’t command a clear plurality of players. Again, it makes sense that places with large populations will also produce a high number of quarterbacks, so Adler again controlled for population, looking at quarterback production per 100,000 people.